KAMPALA – In a major step to turn Uganda Institute of Information and Communications Technology (UICT) into a centre of excellence in information and communication technology, the Uganda Communications Commission (UCC) has confirmed that a state of the art facility has been completed and ready for handover. 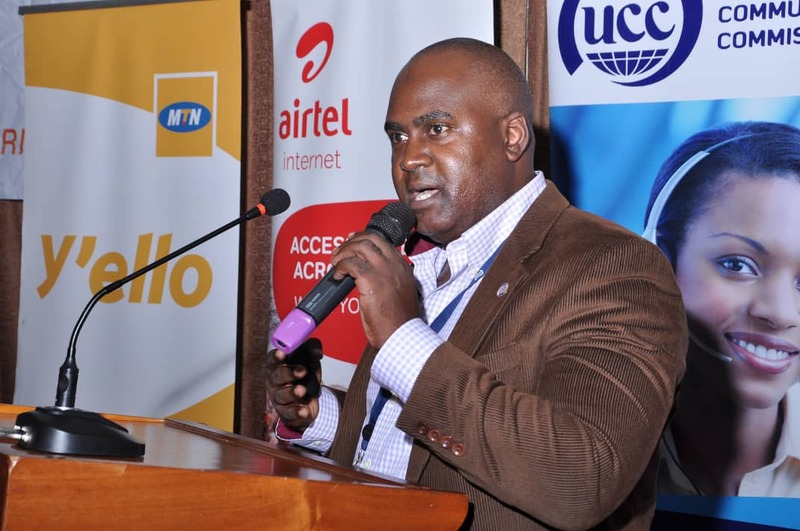 The head for PR and international relations at UCC, Mr. Ibrahim Kibuuka Bbossa, told this website on Monday, April 8, that a UGX 1.4b ICT facility will Tuesday, April 9, be handed over to UCC, the sponsors of the labs by the CLS Uganda, a homegrown contractor. UCC will then hand over the fully furnished labs to UICT, an institution under the commission’s mandate. UCC had budgeted UGX1.5b for the construction works, which started last year at the Nakawa-based UICT institute, but Mr. Bbossa said the work cost UGX1.4b only. “We have been trying to revamp its physical infrastructure to be able to attract and also to sustain learning in terms of ICTs,” Mr. Bbossa said. The UCC was given mandate under section five of UICT to monitor and supervise the country’s ICT centre of excellence. The Uganda Communications Act 2013 mandates Uganda Communications Commission to operate and manage the Institute. This has been done to enable the Institute to get policy guidance and funding to upgrade the Institute into a Centre of Excellence to the level of internationally renowned ICT Institutions. “…we supervise it and coordinate operational issues of its existence,” he added, also confirming that a lot of support including transportation and training has been going to UICT. A total of seven labs will be handed over. Five of these are specialised labs while two are ordinary ones. The specialized labs include a lab on telecommunications, multimedia and a lab on pearson UEVs. Others include an electronic and electronic engineering lab. UICT was founded in 2000 by UCC. This was in compliance with the Commission’s mandate; to establish, manage and operate a communication services training center, as spelt out in section 5 (z) of the Uganda Communications Act, 1997. In line with this Mandate, the assets of the former Uganda Posts and Telecommunications Corporation (UPTC) Training School, (at Plot 9 –21 Port Bell Road, Nakawa) were invested in UCC, and that is where the Institute is located. UICT is a successor Institute to the UPTC Training School established in 1965 by the then East African Posts and Telecommunications as a regional training center. Following the enactment of the Universities and Other Tertiary Institutions Act 2001, the Institute was expected to operate within the provisions of this Act. Accordingly, the National Council for Higher Education advised the Minister of Education and Sports (MoES) to establish UICT as a public tertiary institution. Consequently, MoES issued Statutory Instrument No. 79 in October 2005 establishing UICT as a public tertiary institution. The management of UICT, a public tertiary Institution, was transferred from the Ministry of Education and Sports to the Ministry of Information and Communications Technology on November 29, 2007. It offers practical-oriented ICT training at certificate and diploma levels as an alternative to the theoretically-grounded degrees offered by Universities and other Tertiary Institutions in this same professional area. The institute provides education and training in all fields related to the communications sector including telecommunications services, computer engineering, and information technology and business management.